Democratic Socialism is pretty much what people want to believe it is, and that’s a problem. Actually, it presents several problems, beginning with the fact that it is not socialism. As beneficial as the proposals made in its name may be for our society, it is, at bottom, a rhetorical blunder that creates a hurdle those who call themselves Democratic Socialists must overcome. To some extent though, it is also a term behind which disenchanted millennial idealists and other poorly informed cynics have rallied. It’s worth noting that Durham seems to be among the few who understand what an oxymoron Democratic Socialism is. Social programs could be said to have been instituted by ruling monarchs who opened granaries during hard times, including the Egyptian and Roman empires. Throughout history, poor relief was however a function primarily of the church. In modern times, the national German social welfare system, begun in 1871, and finally nationalized in in the 1880s, under Otto von Bismarck, was on the authority of Kaiser Wilhelm II. The primary motivation of the state then was, ironically, a government scheme to erode working class support for socialism, and establish the superiority of the Prussian state over the churches. So why do so many people seem to embrace the moniker? The answer may best be found in a review of Bernie Sanders’ political activism. Albeit the sentiment has a long history, the cynicism Sanders embraced in his youth was a common phenomenon in the 1960s. Social justice, particularly racial equality, and many other factors—including the Vietnam war, and our government’s support for reactionary governments seen as bulwarks against international communism—had reached a crescendo. Youthful idealism thus widely embraced the notion that socialism offered a remedy for our national malaise. Those who embraced the socialist label did so as an in-your-face demonstration of their indignation against a government they saw as unresponsive to their priorities. Considering the events of recent history, and mounting social imbalance in the world, it’s little wonder that today’s youth especially are again embracing Utopian visions of socialism as offering a solution to what they perceive as wrong with the country. They do so out of profound ignorance though. It’s not just that they understand neither socialism, nor capitalism. They are most profoundly oblivious to the political danger of calling the policies they favor socialism. The long association of socialism with communism afforded the political right with a rhetorical weapon throughout the politics of social reform in the United States during the 20th Century. “Creeping socialism” became a thing, a thing that frightened a lot of people. In fact, the “Red Scare” frightened them so much that our government pursued communist purges in the 1920s and 1950s. When FiveThirtyEight asked (rhetorically) whether socialism was still an effective political boogieman, they found that it was. While it serves the protesters’ sense of self, the suspicion of socialist sentiment has a long history. Early in our colonial period the socialists were known as Levellers. The Levellers, who sought only social equality, no more deserved the suspicion than today’s Democratic Socialists. The suspicion arose from their association with the Diggers, who sought redistribution of property, much as many today associate socialism with communism. I’ve stayed away from calling myself a socialist, because I did not want to spend half my life explaining that I did not believe in the Soviet Union or in concentration camps. All things considered, those Democrats who embraced the Democratic Socialist label have accomplished only one thing. They rode that label into office—or nearly did so. 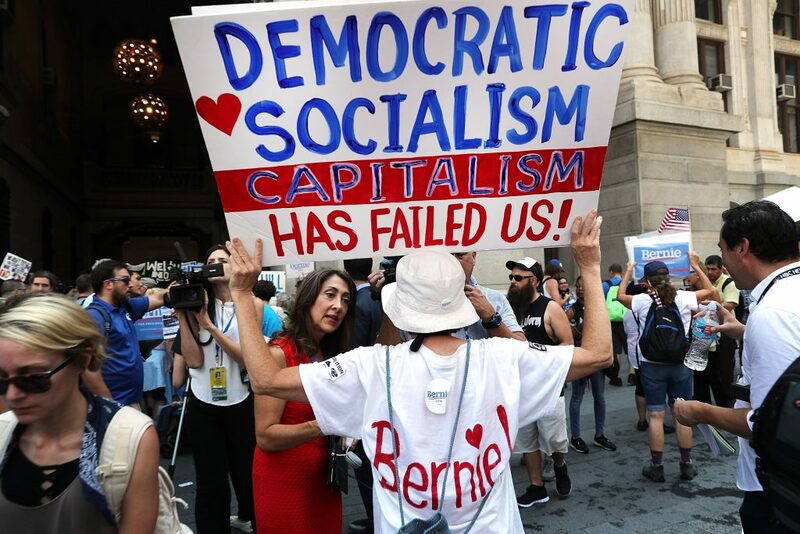 Whether they cynically sought the vote of those whose ideals exceed their grasp of politics, or their own understanding was equally limited, they have burdened themselves with the need to explain why Democratic Socialism is a good thing to those outside their circle of supporters. Some may survive their blunder, but their success in advancing the progressive agenda will be handicapped. From a liberal perspective, the answer is of course Democratic Socialism is a good thing, but the pragmatic answer is that it is dangerous rhetorical nonsense. Consider therefore how much more sensible it would be to use another label for the liberal agenda. Since the policies proposed promise profound economic benefits that fit within the moral framework of capitalism—as it was originally perceived by Adam Smith—it would make so much more sense in every conceivable way to call it Democratic Capitalism. Skepticism about the political viability of the extreme left’s proposals is well founded. It’s not due to what they propose so much as their inability to understand that the policies they propose are not socialism. Nor are those social programs they claim were socialist, like Social Security, Medicare etc. In example, Social Security was a government mandated savings program that had nothing to do with government ownership of the means of production and distribution. In fact, none of the government programs we call entitlements or welfare are socialist. The political right only argues that they are, and our current headline grabbing “socialists” don’t have the sense to cast their proposals as what they are, sound capitalist policy. Many liberals even cast blanket aspersions against capitalism, little realizing that Adam Smith’s opus, The Wealth of Nations (short title), was a work of moral philosophy that was critical of greed, and championed raising the condition of the working poor. So, let’s get something straight. Social programs are not socialism. They could be initiated by a monarchy if it so moved the monarch. Saying they are socialist virtually admits that the rhetorical argument of the right is true. If people better understood economics, they would be seen for what they are: A good faith effort to alleviate societal problems through Keynesian economics. In example, the nonpartisan Center on Budget and Policy Priorities (CBPP) issued a report a few years ago on their finding that each dollar of transfer payments (PDF – SNAP) returned as much as $1.70 to the treasury, whereas tax cuts for the wealthy return only $00.70. This is capitalism at its most functional. The liberal reward of labour, therefore, as it is the necessary effect, so it is the natural symptom of increasing national wealth. The scanty maintenance of the labouring poor, on the other hand, is the natural symptom that things are at a stand, and their starving condition, that they are going fast backwards. Much more, I suspect, is grossly misunderstood about Adam Smith’s views. In example, he is often referred to as an economist. The flaw in this assertion is that, while numerous luminaries wrote treatises on economics at the time, none were economists. In fact, economics did not become a formalized study in universities for nearly a century following the publication of Wealth. The science of economics did not exist. Moreover, Smith was a philosopher of morality, and quite famous for his writings on the topic in The Theory of Moral Sentiments. The time in which Smith lived further calls many aspects of conventional understanding of his writings into question. Most notably, his advocacy of laissez faire economic principle that conservative politicians are so fond of invoking when they decry government economic intervention. While they ignore the principle when government policy favors business, they invariably oppose government stimulus and “welfare” at every turn, unless they want to bring home the pork to their districts. In Smith’s day, governments were heavily involved in their respective economies to secure the nation’s mercantilist advantage. Government did, however, not form policy favoring labor, consumers, or to address the environmental damage that the burgeoning industrial revolution was causing. In fact, industrial cities were brutal cesspools of poverty, disease, and polluted air and water, all of which were tacitly supported by government policy. Government was, in fact, most activist in putting down labor revolts, due to the extreme violence—because labor had absolutely no other recourse. Now, it would be absurd to argue speculatively that Smith would have approved of our social programs, but no more so than to argue that he would disapprove of them. He simply had no basis for any observations on the matter. It seems reasonable to suspect that he would have seen them as counter productive, though he might have thought policy favoring a living wage reasonable. It’s more likely though that any objection Smith had to a government mandated living wage would be due to his belief and hope that ownership would see the folly of paying poverty level wages. His economics was, after all, a moral philosophy. Greed and building personal wealth have nothing to do with Smith’s capitalist philosophical reflections on building national wealth. These are human flaws in the perception of the role of capitalism. ≈ Comments Off on Is Kim Jong Un Playing Trump? It’s unlikely that North Korea (DPRK) has abandoned their commitment to reunification of the Korean peninsula, and nuclear disarmament cannot serve that purpose. Recent developments, along with Donald Trump’s disturbing compulsions and unfounded claims should therefore create serious concern about how the ongoing “negotiations” will play out. It’s a certainty that North Korea has not begun disarming, so is Kim Jong-un playing Trump for a fool, or a self-absorbed lunatic? Now, it’s unlikely that our Narcissus-in-chief will be conned by Kim Jong-un, but giving him what he wants—withdrawal of US forces—will likely play well to Trump’s mentally deficient base. The danger is that our national embarrassment will see betraying South Korea—there is precedent—in the belief that it is the political expedient he needs to save himself from himself. Will the psycho in the WH be deranged enough to do so? What then remains to be seen is the timing of Kim Jong-un’s attack on South Korea. Assuming that the DPRK can also hide some portion of his nuclear arsenal, what has been revealed of Trump’s “doctrine“—war is only justified if a profit is to be made—suggests that he and his base will deny responsibility. After all, who could have known Kim Jong-un would be so treacherous. If, on the other hand, Trump were to take military action, any ensuing conflict would make it unwise to “change horses in mid stream” (pardon the cliché)! The question then will be whether the DPRK uses its nukes. It’s a safe bet they will have threatened to use them. If so, the most probable response by “Cadet Bone Spurs” will be to abandon South Korea to its fate. It will be his only political hope—and ours. Had anyone else written the piece Politico published for Bernie Sanders, they might have had me until that phrase spoiled it. Somehow Bernie’s earlier approbation of that fraud’s self promoting misdirection from her own corrupt character had escaped me. 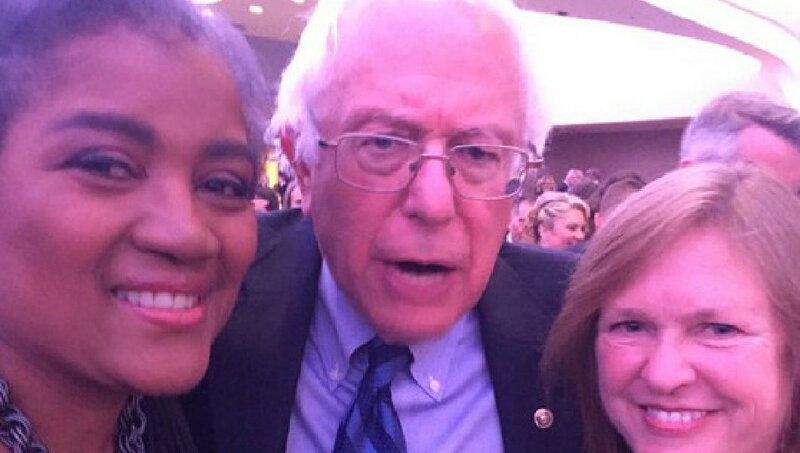 Donna Brazile did as good a hit-job on the Democratic National Committee (DNC) and Hillary Clinton as her much to do about nothing diatribe could. It was fairly effective. The pseudo intellectuals seemed to swallow it whole. Brazile can hardly be blamed. Her fall from grace was hard. Unlike Limbaugh’s fall, her downfall came at the demand of those who once admired her, and she had little to fall back on. That said, the single gulp needed to swallow Brazile’s hit job seems to have inspired Bernie to write a demi tome of nonsense. It demonstrates no better capacity for analysis of political issues than Brazile ever demonstrated. Oh, she was a knowledgeable talking head, but that’s about it. That’s not to say that this article has no merit, but it does fall short of addressing the real problem with the DNC. As it is with any other organization, the operative element is political. The flaw within that are the individual ambitions of those involved solely for their personal advancement. Political organizations are especially vulnerable, because politicians need to have that dirive for self advancement. That drive for self advancement is what helped Donald Trump win. Bernie Sanders was never truly dedicated to the advancement of his agenda. He wanted to become President, and to win at any cost. This brings us to the DNC’s first mistakes: allowing the cynical old gadfly to take a free ride on the Democratic ticket. Nor were his followers truly behind his agenda. Not only did they zealously participate in Sanders’ program of character assassination in order to differentiate their candidate, but they proudly voted for Trump, the Greens or not at all. Like those who foreswore politics for the Occupy movement in 2010, Bernie’s followers were, like him, cynics with no real understanding of political process. They wanted what they wanted, and they wanted it now—without involvement with the political structures necessary for accomplishing their aims. They had no idea that politics does not work that way. Take the Civil Rights movement in example—or women’s suffrage. Without involvement within the political structures, there would have been no progress. Even Bernie seems to realize this truth. Otherwise, he would not have asked to be included on the Democratic ticket—or be suggesting a fix for the DNC. I would make the changes recommended, while seeking other issues needing redress, but I would expect any sign of success to take years—or decades. The DNC made the mistake of elevating an obscure Senator from Vermont to national prominence far beyond his due, and will need to persevere until his death—and education and maturity bring that few of his followers back who are in full control of their senses. ≈ Comments Off on Is the progressive movement failing? Well, is the progressive movement failing? In a word, the answer is no, but it has suffered serious setbacks recently—and it could do much better than it has over the last decade. It’s important to understand the distinction of “liberal progressives” used above. Liberals have not been the sole arbiters of progressive politics. Richard M. Nixon, in example, was progressive in many ways. In case you are not aware of it, he deserves credit for creating the Environmental Protection Agency, and forwarding the cause of equal rights through “affirmative action” to name two accomplishments. There may still be a few progressive Republicans, but, if they exist, they are largely hiding in a closet that keeps out of view. This brings us back to liberal progressives, and the reason they—despite large majorities of support for so many issues—have failed to dominate politics for so long. Though not necessarily the sole problem, the cynical left, now referred to as the alt-left, has been willing to scuttle the political aspirations of any Democrat who does not meet their expectations. In example, despite evidence of Hillary Clinton’s progressive credentials during the 2016 Democratic Primary and presidential campaign, cynics would produce a litany of shortcomings and speculative doubt—with devastating consequence. This was not a one-off incidence. It happened in 2000, giving Republicans hegemony in government through 2006, and again in 2010, which assured an uphill battle that prevented the Obama administration from accomplishing all it could. And it’s happening again in the wake of demands for absolute submission to their demands by liberal cynics. Politics is an evolutionary process, not revolutionary. It never involves a cynical choice of the lesser of two evils, but a choice of the best possible outcome. Debate over issues is important, of course, but support for the progressive consensus is critical for progressivism to succeed. Without it, the starlings will continue to rob our nest. Why does the GOP really want to repeal Obamacare? ≈ Comments Off on Why does the GOP really want to repeal Obamacare? Initially, Republicans (GOPers) may only have feared that the Affordable Care Act (ObamaCare) would become a popular political coup on the part of Democrats. The monumental lies GOPers used to discredit Obamacare’s value, and repeated attempts to kill the act before its value to the public became obvious, 54 in all, suggest a deeper truth behind their efforts. Adding further to that perception of a deeper truth is the extent to which their dishonesty extends to their own plan (TrumpCare). Moreover, their frenzied effort to push it through—now that the GOP again enjoys legislative hegemony—suggests that the more rational GOPers hope to cash-in on the glory. They suffer from healthcare envy. Their healthcare envy has two main obstacles though—and one potentially lethal consequence. The two obstacles are the opposition to TrumpCare from Democrats, as well as the reactionary right within the GOP, both of which want to kill the legislation. 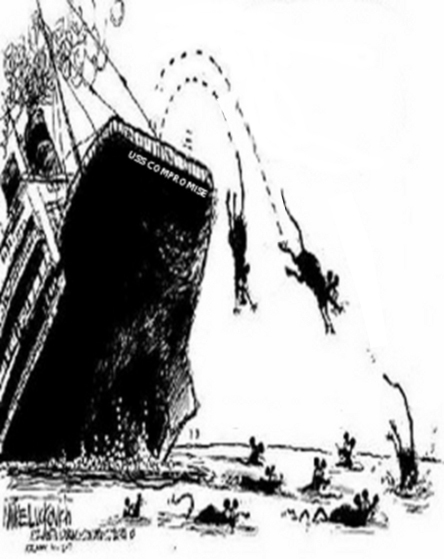 The Democrats of course enjoy the feather in their cap represented by Obamacare’s successes, despite it’s shortfalls. The reactionaries may fear the backlash once the flaws in TrumpCare become evident, but pin their objections to TrumpCare principally on what they see as budget-busting costs. The potentially lethal consequence is that TrumpCare might pass. It’s unimaginable that the legislation’s proponents are unaware of its inadequacies as a replacement for Obamacare. The growing popularity of Obama’s signature healthcare plan, despite the GOP’s negative spin, is hard to deny. The shortcomings of TrumpCare begin with the issue of coverage for pre-existing conditions. While Obamacare forbade higher premiums and denial of coverage for people with pre-existing conditions, the GOP plan allows “premium rates that do consider the buyer’s health.” It also allows employers who provided insurance only due to the mandate to withhold coverage from employees not already enrolled. While eliminating the mandates will be a boon for those with no reason for concern over the “affordability” of healthcare, the wealthy, while driving the cost of healthcare up for those already paying high premiums—the very people Paul Ryan uses to deride Obamacare in his deceptive spin on TrumpCare. Gopers make no mention of any of the great successes of Obamacare. Nor do they mention that their bill shifts significant costs onto the states—many of which are already struggling to balance their budgets. Oh, they tout their “tax credits” as helping keep healthcare affordable, but must surely know it’s a lie. Even our Dissembler-in-Chief, Donald Trump, has steadily walked back his pledge to repeal, then repeal and replace Obamacare. We may never know whether he is aware of the wave of evidence of Obamacare’s success and popularity, and truly believes it will collapse in utter failure. His “performance” as President should make anyone who has paid attention expect that he will spin the events in such a way that he is insulated from the ramifications of any eventuality. The Gopers in Congress may not be so fortunate. If TrumpCare fails, they will have to deal with the more irrational segment of their constituency. If it passes, they will have to deal with those hurt by their success. The GOP missed it’s opportunity after they defeated Hillary Clinton’s efforts to create a universal healthcare program in 1993. They even had a plan proposed by their own Heritage Foundation that was very nearly like that of Obamacare. Had they not been blind to the persistence of the call for universal healthcare, they would have been spared the long term anxiety over their healthcare envy—and the effort they put into repealing it over the past nine years could instead have been put into accomplishing something for the betterment of the people they claim to represent. A new threat to any hope of furthering a progressive agenda is organizing. To the rational observer, the only realistic promise they, the organizers of WeWillReplaceYou, and the cynics they attract offer is the historic failure that liberal extremists have given us time after time. Those liberals and progressives who subscribe to liberal political pages on Facebook are familiar with the aphorism to the effect that “doing the same thing over and over, and expecting different results is the definition of stupidity.” Little do too many of them realize how that aphorism applies to them. 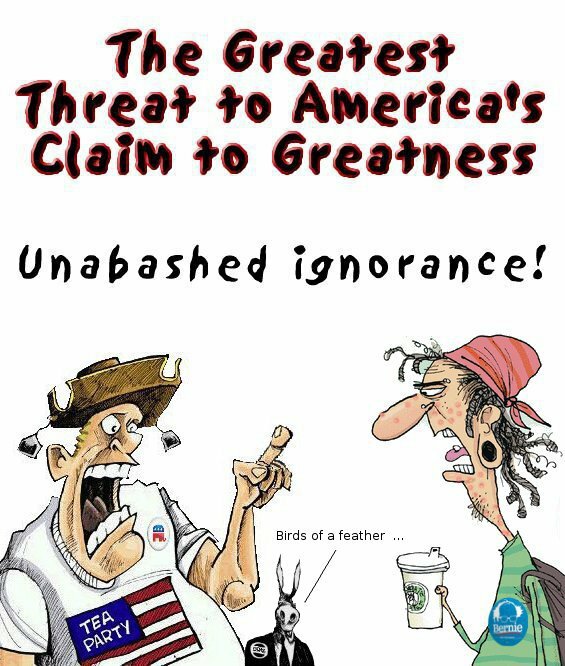 Like the Tea Party “idiots” they despise, such are the liberal extremists who identify with the Occupy movement, and candidacy of Bernie Sanders for the 2016 Democratic presidential nomination. Among the more remarkable bits of evidence of the stupidity of those cynics who have self-anointed themselves to hold Democrats whom they perceive as wayward accountable is that they seem to have little or no understanding of the most basic elements of the political process, let alone the nuances. Then too, the smug rejection of what they believe to be a choice between “lesser of two evils” is both outdated and childishly absurd. The example of just one “wayward” Democrat further illustrates the foolishly unthinking approach of these childishly cynical extremists. Joe Manchin, A Democratic Senator from West Virginia, is among the Red State Democrats at risk to lose his office in 2018. Now, in addition to being a target of the GOP—along with several other “wayward” Democrats—he will have to weather an assault from WeWillReplaceYou for his position on President Trump’s nominee to the Supreme Court, Neil Gorsuch. Realistically, there is little hope that they will mount a successful challenge to Manchin’s run for the Democratic ticket in 2018. The mindless viciousness of these cynics is however fully capable of assuring that his Republican challenger wins—in the same way their ilk so damaged the character of Hillary Clinton that they assured the election of Donald Trump. Common sense dictates that any success on the part of WeWillReplaceYou will assure their overall failure to accomplish anything worthwhile. 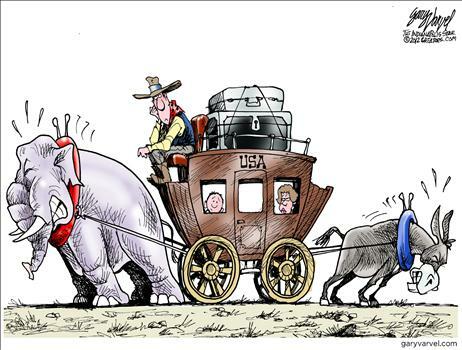 Every Democrat they trash to the point that they lose their seat to a Republican will be another victory that locks-in GOP hegemony for years to come. The only “revolution” likely to bring about the change they seek is too unbearable for most of us to contemplate—and very probably will not accomplish what they want. Our political system has been one of progress and set-back, a slow evolutionary process that took four score and seven years to free so many Americans whose civil rights were not affirmed for another century, and well over a century to empower women. If the cynicism of WeWillReplaceYou becomes as infectious as the #NeverHillary movement, it will be decades at best before there is any hope of reversing the damage they did—perhaps even centuries if the Republicans further delay dealing with issues like climate change. Despite all the evidence and simple logic that Bernie Sanders and his supporters (bots) own the responsibility for the Election of Donald Trump, most—if not all—deny their culpability. Whether due to shame at the realization, smug self-righteousness, or the latent delusion of Bernie’s viability had he been nominated instead of Hillary Clinton is not clear. What is clear is that they lack the pragmatism to understand democratic politics. Among the surest indicators that they lack the capacity is illustrated by their universal disdain for any choice that constitutes what they call “the lesser of two evils.” It is an expression of their “Puritanical” absolutism that has made the 21st Century a disaster from the beginning to the present. The truth that they are incapable of understanding is the pragmatic outlook that their choices are always which of the candidates promise the greatest possible good—which includes consideration of the candidate’s chances of winning. When seeking a scapegoat to justify their superior sense of morality, they generally revert to conspiracy theory. He lost, they claim, due to some imagined—and totally unconfirmed—treachery on the part of the Democratic National Committee (DNC). In fact, not only was Bernie’s campaign the only campaign to engage in illegal subterfuge—the hacking of Clinton’s database on the DNC computer—but his bots so lacked the most basic understanding of the political process that they failed to win the nomination for him! Then, albeit Bernie belatedly encouraged them to back Clinton, his core bots either abandoned voting at all, voted third party, and one in ten went so far as to vote for Trump. * Many did so while assuming their purity of purpose, and expressing their disdain for Bernie’s betrayal of their revolution. Whether they were thus directly responsible for Trump’s win is a moot point in consideration to the extent to which they had damaged Clinton’s brand during the primaries. The combination of increased third party votes and decreased turnout for Democrats carried the Electoral vote for Trump. The simple facts are that Hillary Clinton did not deserve the attacks the liberal purists levied against her, and the American public deserved a more thoughtful approach to selecting a candidate than the character assassination in which Bernie and his bots engaged. Then, basic logic escaped their self-righteous pretensions of ideological purity. 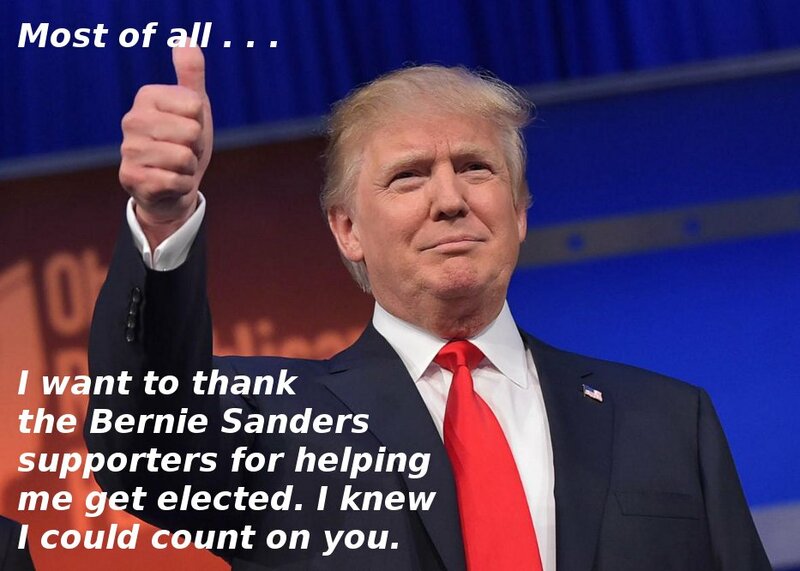 * Update: Over 20 percent of Sanders’ supporters either did not vote for Clinton, or voted for other candidates, including the 12 percent who voted for Trump. Revolution or Evolution: How is ‘change’ best attained? ≈ Comments Off on Revolution or Evolution: How is ‘change’ best attained? September 16, 1810. 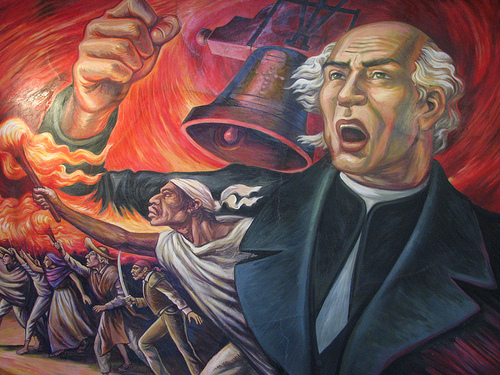 Miguel Hidalgo y Costilla, a Roman Catholic priest, raises the “grito,” the pronunciamiento of the Mexican War of Independence. Recently, I have read a lot of sheer nonsense about Bernie Sanders’ revolution based on a lot of Hopey-Hopeyness—and devoid of political reality. We heard the same kind of dribble about the “Occupy” movement—which accomplished only a slightly less deleterious outcome in 2010 than Sanders did with his revolution. Poorly informed, self-centered, liberal cynics do not a revolution make. The “autonomous” movements redressing racial tensions and other on-going issues aside, the setback to the progressive movement due to Sanders and his horde of “gimme what I want, or else” cynics will take a decade to correct back to the point prior to the 2016 election—and untold election cycles thereafter to overcome. Progress will be made only through an evolution of humanity’s sensibilities, not through revolution, which must be sudden, and violent. Even if Bernie’s “revolutionaries” took up arms, they would be less effective than Miguel Hidalgo’s “Grito.” Trump’s presidency would have to be much worse than anyone imagines before the middle class follows Sanders’ grito. Worse yet, successful revolutions have seldom resulted in meeting the Revolutionary’s expectations. Don’t for a moment declare the US an exception. Serious violence erupted during the ratification process after 1787, and we had an even more serious disagreement erupt in 1861. Anyone who is serious about affecting “change” should first learn enough about history and politics to realize that the change they seek cannot be attained by “punishing” those who stand with them for that change—but support another candidate they believe more capable of bringing that change about. Sigh, if only people did not have to be rational beings to serve their best interests when they participate in politics. The title pretty well sums up what appears to be the proximate cause of Hillary Clinton’s stunning defeat by Donald Trump in the 2016 Presidential election—albeit the media has not yet done a definitive analysis (though one comes close) of the reason for the emerging consensus conclusion for her loss. The one that has addressed why she lost is an admittedly snarky satire by Marty Rudoy, opinion journalist, and political satirist at HuffPo and American News X. While inspiration is important, this last point—the failure to adequately address the economic concerns of an entire region—ignored James Carville’s 1992 observation that “it’s the economy, stupid.” Doing so undoubtedly cost Clinton votes in those battleground states that Trump won. None of it truly explains the low Democratic voter turnout. The most likely answer to explain why Clinton experienced so low a turnout can likely be found in the question of why did her overall approval rating fall from 49% in May 2015 to 39% by early June 2016. Most strikingly of all is that her approval had fallen to between 32% and 24% among male voters by mid October. Yes, FBI Director James Comey’s “October Surprise” may have had some effect, but the media reported a rebound when Comey announced nothing new had been found. Emailgate was after all a primarily Republican issue—but we know how badly the media and polls botched their analyses, so no firm conclusion can be made there, albeit the electorate was already predisposed to react to negativity. Something else was at play though. 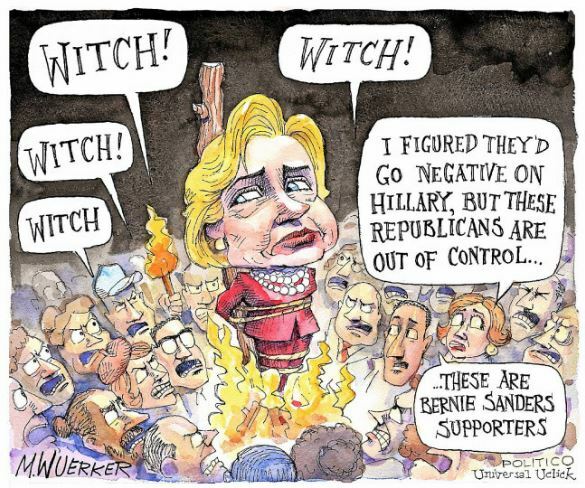 The worst failing of his supporters was not that they failed to nominate Bernie—whose radical extremism would all but certainly have ended in his defeat in November—it was the degree to which they created uncertainty about her credibility among Democrats and independent voters. Clinton mentioned it herself in the first debate, objecting to Bernie’s use of disinformation and innuendo to attack her. But it was not just the Berniebros commenting on social media and the comments sections of medial outlets. The media outlets themselves seemed to have it in for Clinton. This is not the first time that the cynical left threw the election into the lap of the Republican Party. The real tragedy is not so much that the “revolution” has once again been postponed. It’s that the cynical left lacks the capacity to own up to the reality that they are their own worst enemies. They cannot shake the belief that they are noble warriors who reject the choice between the lesser of two evils, and come to the realization that their choices are always a matter of the greatest possible good!